Why Is Our Market so Active Right Now? | Orange County, CA Real Estate Video Blog with Frank Del Rio Orange County, CA Real Estate Video Blog with Frank Del Rio: Why Is Our Market so Active Right Now? Today I want to bring your attention to something that you should be aware of as a home seller. Recently, I did a video about the best kept secret in real estate, which had to do with putting your home on the market in the winter rather than in the spring or summer when the natural swell of the market occurs. So far in January, we have sold 4 properties, have 3 new escrows, and are currently negotiating 3 contracts. 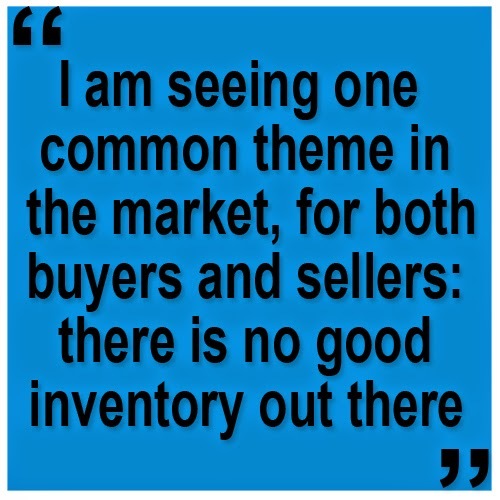 I am seeing one common theme in the market, for both buyers and sellers: there is no good inventory out there. Right now, any time a decent home hits the market it sells immediately. Why is this happening? Well, for starters, interest rates are phenomenally low right now, below 4%. Money is cheap right now, and buyers understand that. In addition, a lot of people are not ready to put their home on the market yet. If you are in this situation, today is a great day to take advantage of our market. In every home we have sold this month, we have gotten multiple offers. Buyers are being aggressive and just waiting for a home like yours. If you are thinking about buying or selling, I recommend that you contact a real estate professional like myself to talk over your options before you make a decision. Thanks for stopping by, I look forward to hearing from you.